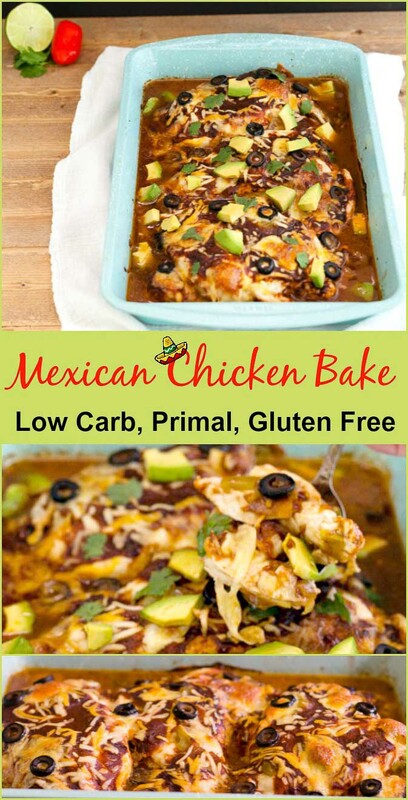 Easy Mexican Chicken Bake low carb is gluten free, grain free, primal chicken dish that is simple to prepare. 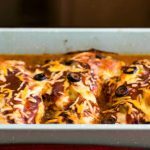 Easy Mexican Chicken Bake Low Carb is a super simple, but oh so tasty recipe that I have been making for years. 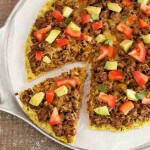 The version I used to to make had refried beans and a sprinkling of corn chips on top, but I removed those for a low carb grain free version. And you know what? It is still just as awesome and even easier to make! Being that there are gassy people at my house, I think that bean free is always a good idea, lol. I did not mention their names, so they can’t be too upset with me. Top with chopped avocado, optional cilantro, and sour cream. 1 ¼ cup salsa, red or green, divided (can also use my homemade salsa), or use the fresh salsa from the refrigerated deli section (usually it is lower in carbs than the jarred kind). Do you think this could be made in the crock pot? Renekah, Yes I think it would great in a crock pot! 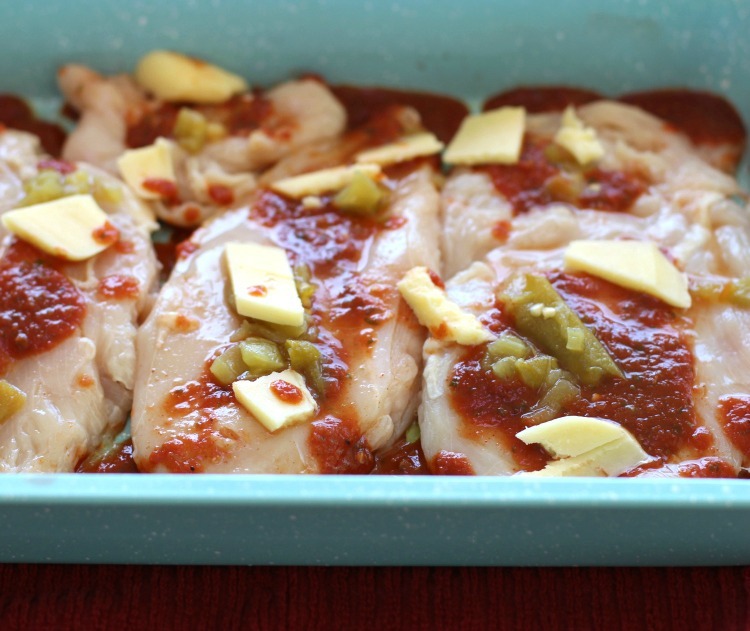 Just don’t add the cheese and avocado until the chicken is done. Made this, along with the homemade salsa, yesterday. Easy to prepare and cook, and low on the washing up (love a one-dish meal). Lovely meal, thumbs up all ’round. Will be a regular staple in my house, thankyou. This looks so easy and delicious! i love queso cheese! Oh this looks good and tasty! 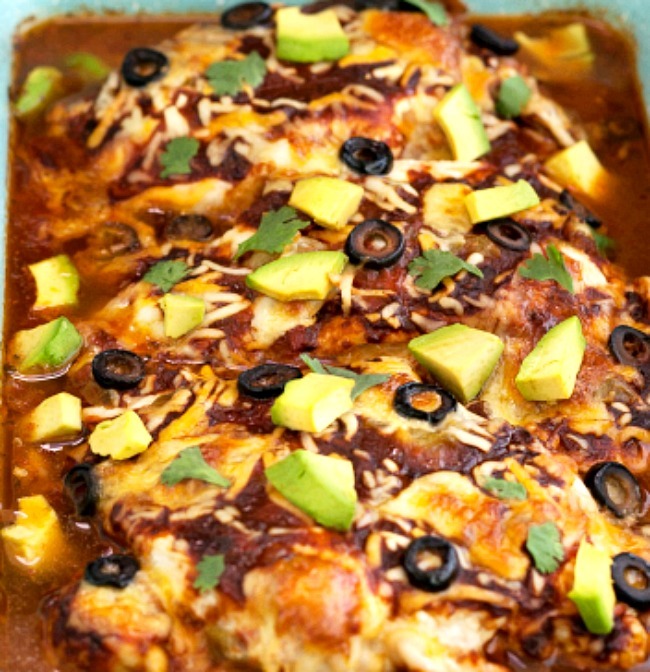 I love mexican, but I’ve never made a mexican chicken. This looks like a great dinner for a busy week night! Thank you! 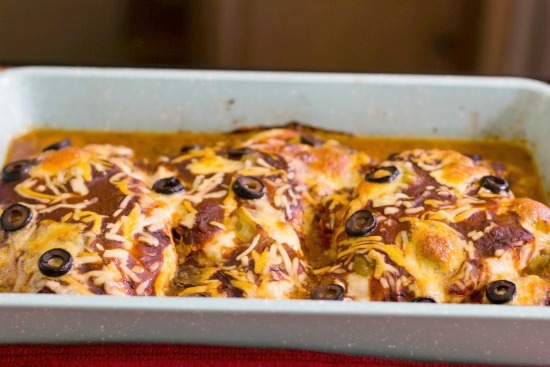 Can’t wait to start baking casseroles again now that the weather is cooling back down! Me too Tasha. 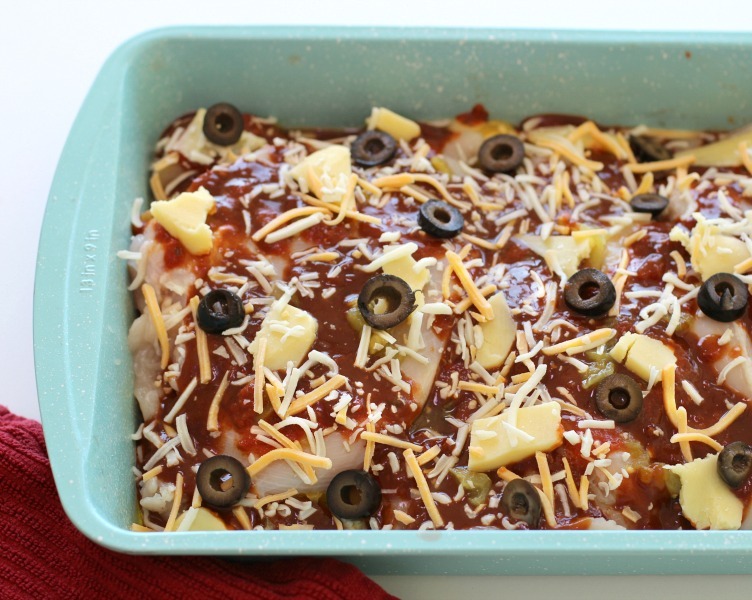 Casseroles are so easy to throw together. What a tasty blend of flavors! 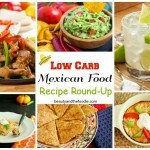 Perfect for Mexican night! Beans! Oh yes, that can be a problem – LOL! 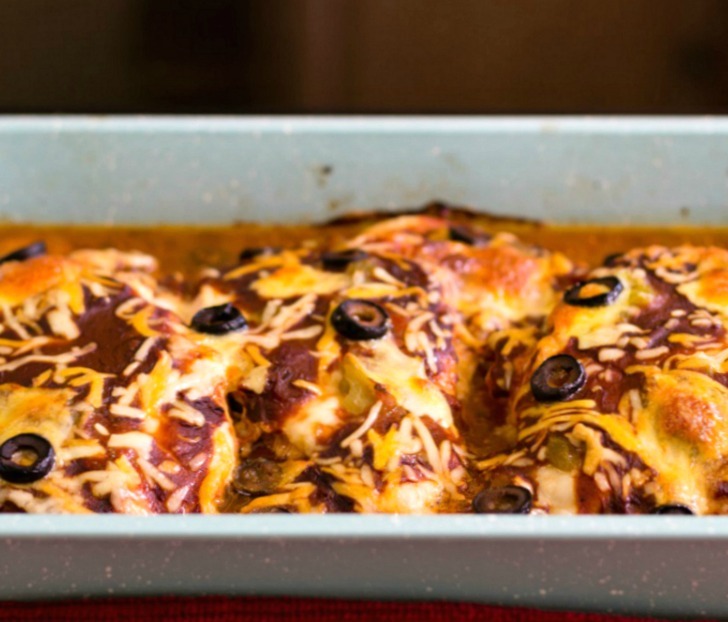 Casseroles are always a favourite in our house (in the oven, set and forget), and this one sounds great. Thanks for sharing! Yes yes this looks like a simple and fantastic dinner! I think it’s best not to add the beans also because they usually do the damage lol! Thanks Bethany. Yes they are hard on the digestion. Ha! You made me laugh. We have a few of those people at my house, too, and avoid beans for the same reason. Lol. This recipe looks really good. Thanks for sharing. This looks so easy! I can’t wait to try it!